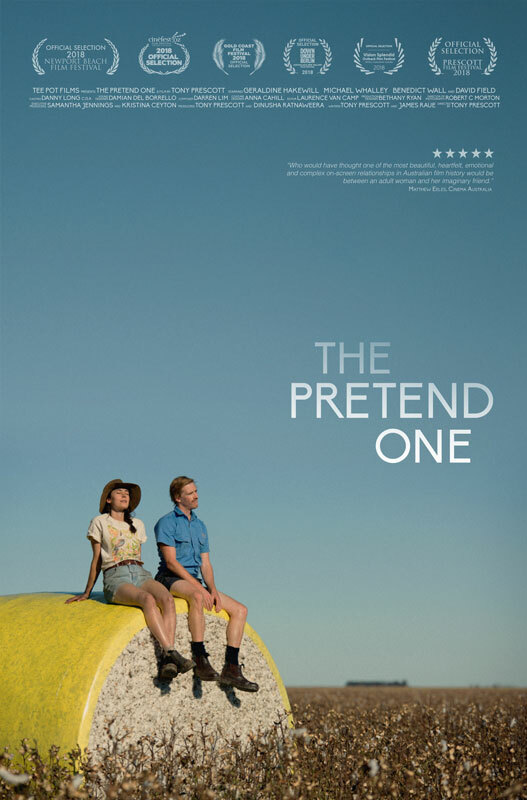 Synopsis and official poster of the Australian critically acclaimed film The Pretend One, starring Geraldine Hakewell and Michael Whalley. This is the heart-warming tale of a young female farmer and her imaginary friend. He's been by her side for twenty years and counting. Now, as he watches her fall for another man - a real man - it dawns on him: he is in love with her. Unable to face losing her, he must fight to become real himself.